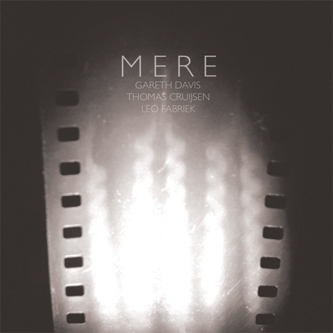 'Mere' is a subtly engaging new group project from Gareth Davis (bass clarinet), Thomas Cruijsen (guitar), and Leo Fabriek (drums) exploring the darker ambient hinterland of improvised free jazz. 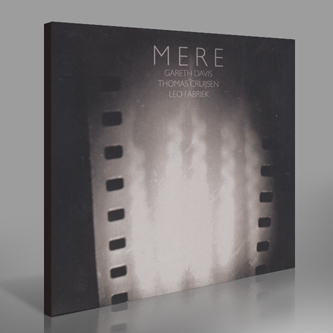 The trio first worked together on the soundtrack to a Dutch TV documentary called 'Visserman' and the results were strong enough to prompt them working on this 2nd release. 'Mere' meaning 'more' in Dutch, features three finely attuned compositions, a confluence of the trio's compatible but diverse approaches. To Davies' droning bass clarinet, they dub his more expressive sweeps and swallow-diving notes while Thomas Cruijsen's solemn modal finger picking grounds the piece against tempered drum work. No one player foreshadows the others, resulting in a spacious, unimpeded, yet controlled dialogue based on simple principles.